They say every great advertisement leaves the audience with an impression of the product or service being sold, and not so much the presentation. It’s kind of odd, when we live in a world where so many people speak in memes, a fault of the current generation, and one would think it’s the other way around. If a cute puppy using pseudo-“hooman” words can stay in the mind of a 20-30 something year old, maybe that’s the way to go with selling cars. To poke a little fun at all the hoops automobile brands do jump through to get their audience’s attention, Ram Trucks made their own pseudo-commercial that aired during the 2019 Super Bowl. The first commercial to discuss today starts with two modern-day cowboys discussing previous Super Bowl ads they’ve seen during the game. As a joke-within-a-joke, jokeception, the two men take note of how many Super Bowl ads are already online, and how that ruins the fun of seeing them live. Oh, the irony. All throughout “Can’t Remember”, the commercial by Ram Trucks and a part of their “Big Game Blitz” marketing campaign, the cowboys reminisce about old Super Bowl commercials when referring to the Super Bowl LIII. The New England Patriots won this year – what better time for the likes of Ram to show off their spirit with good ol’ American trucks. So what truck is the product of this commercial? That’s the joke. The new Ram product shows up at the very end of the commercial. Before then, the cowboys discuss monkey babies and of course, puppies. 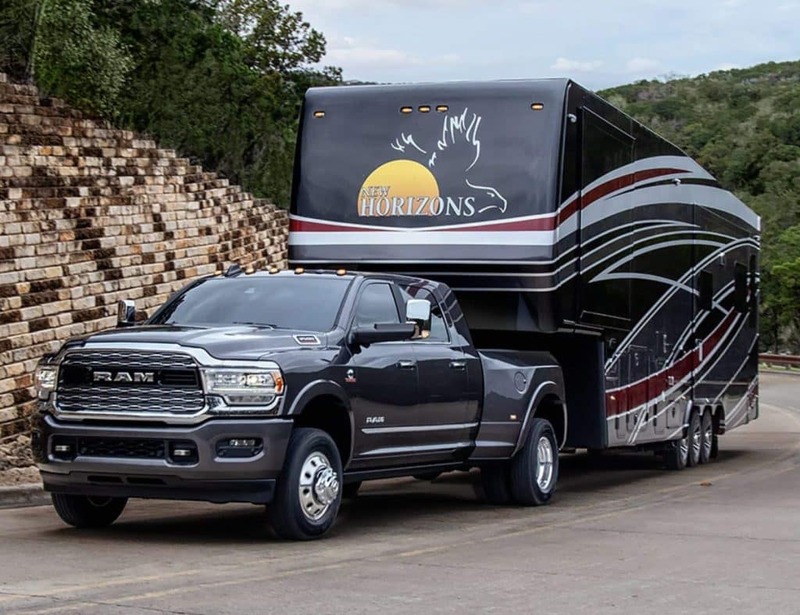 Just before the truck comes on screen, one says to the other about never remembering what the point of the commercial was, and says, “Maybe if you just, show them what they’re selling.” Cue the new 2019 Ram HD, a Ram 3500 Limited hauling a huge trailer to be exact. We are on the ranch after all. The new 2019 Ram HD was revealed by Fiat Chrysler Automobiles (FCA) at the 2019 NYIAS. Available in Spring 2019 with 1000 lb-ft of torque, many hard workers out there will be happy to find this beauty in their lot. Before, we conclude, let’s not forget about a patriotic super hero. No, not Captain America – but hawk is in his name, and that bird is also kinda patriotic, no? It’s Hawkeye, having disappeared completely from The Avengers: Infinity War, and not because (spoiler) of the snap. He just wasn’t there. Now, Academy® Award nominee Jeremy Renner a.k.a. Hawkeye, lends his voice as he narrates a beautiful commercial. It starts on a close up of a young girl as the camera ever so slowly zooms out. The narrator turns out to be her father, portrayed by Renner. During his narration, Renner speaks of all the good this little girl can grow up to one day become. Get any job, any office, anything. Not just a female leader, but a leader. Equality! Then, Renner’s bit ends with him saying he’s going to “make sure of it”, as in, make sure all those possibilities are there, as her father. Awww. Enjoy those commercials? Like any other FCA commercials during the Super Bowl? Let us know on Aventura CJDR social media.